All Lostine homes currently listed for sale in Lostine as of 04/20/2019 are shown below. You can change the search criteria at any time by pressing the 'Change Search' button below. If you have any questions or you would like more information about any Lostine homes for sale or other Lostine real estate, please contact us and one of our knowledgeable Lostine REALTORS® would be pleased to assist you. 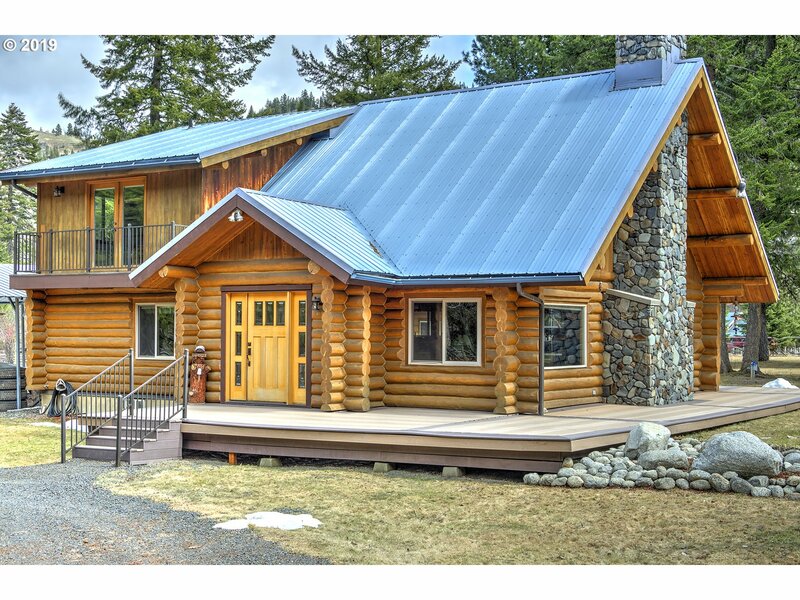 "This beautiful custom home, built by Bronson Log Homes, features hand-scraped Western Larch (a.k.a. Tamarack) logs and is comfortably nestled in a serene neighborhood in the Lostine River Valley. The well appointed kitchen features petrified river rock granite slab counter tops, alder cabinets, and solid hickory floors. The balcony of the generous master loft, or the wrap around deck, are perfect for watching the surrounding wildlife."